Many thanks to IPP Logipal Pool in Coventry for their generous donation including toilet rolls, squash, custard, gravy & stuffing to be used at our Christmas Day Dinner Event. 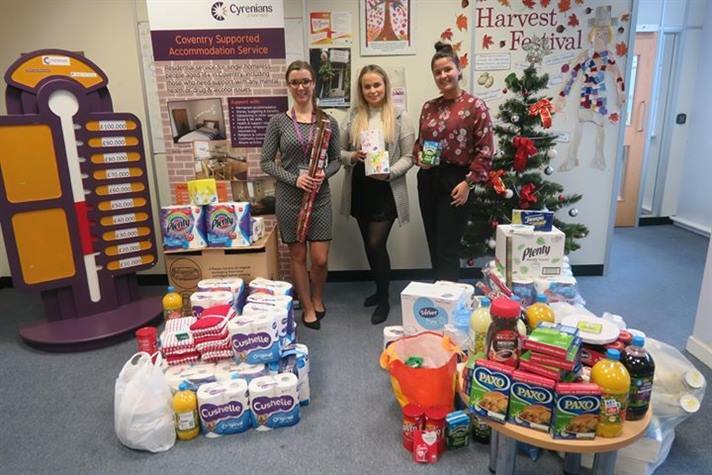 "We were delighted to support this year's Coventry Cyrenians Christmas Dinner with a van-load of donations and gifts. It's a fantastic charity which carries out vital work for homeless and vulnerable people in the city all year round and we hope our donations will bring some festive cheer to all the people who use the service". @poolingpartners.